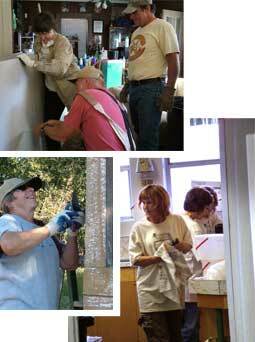 Step Up Bisbee/Naco is dedicated to keeping low-income, elderly, and/or disabled homeowners living in our community in warmth, safety, independence, dignity, and decency through volunteer home repair and rehabilitation services. Through the generous support of individuals and local corporations, Step Up Bisbee/Naco makes a difference each year in the lives of low income individuals and families. 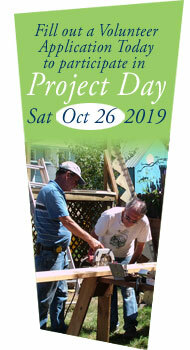 All supplies for Project Day are purchased from donations, grants, and monies raised in our annual fundraising event. 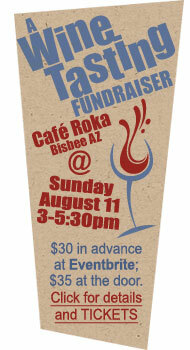 This year's Wine Tasting fundraiser (with several drawings with cash prizes) is Sunday, Date TBD, from 3 to 5:30pm at Café Roka (35 Main St, Bisbee, AZ). TICKETS: $30 in advance online (CLICK HERE for EVENTBRITE TICKET SALES). $35 at the door. A carefully chosen variety of red, white, and sparkling wines are accompanied by a large array of delicious appetizers prepared by Rod Kass, owner and chef of Café Roka, and his supportive staff. Step Up Bisbee/Naco selects one day each yearSaturday, Date TBD this yearto help preserve and revitalize several houses in the community. Many local qualifying residents have no place to turn to when the roof begins to leak or the plumbing doesn’t work. Our goal is to ensure that we help as many of them as we can. 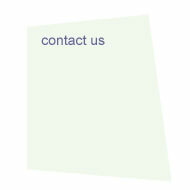 Individuals and families are referred to us through churches, community organizations, service groups, or self-referral. Applications are available on our How to Help and Apply, Volunteer, Donate pages, and at several locations in Bisbee (see list on Apply page). Prior to our Project Day, House Captains meet with the owners, assess the repairs that need to be done, and purchase the supplies. On the morning of Project Day, volunteers gather for breakfast at the Boys & Girls Club in Warren and receive their assignments. Many of the volunteers have been helping for several years. They come ready to scrape, paint, clean up yards, or help wherever they’re needed. Many of the volunteers are carpenters, plumbers, electricians, roofers and others with special skills that donate their time. Anyone can volunteer! Working together, our volunteers not only help the homeowners but also make a big impact on the entire community. © Copyright 2019 Step Up Bisbee/Naco. All Rights Reserved.